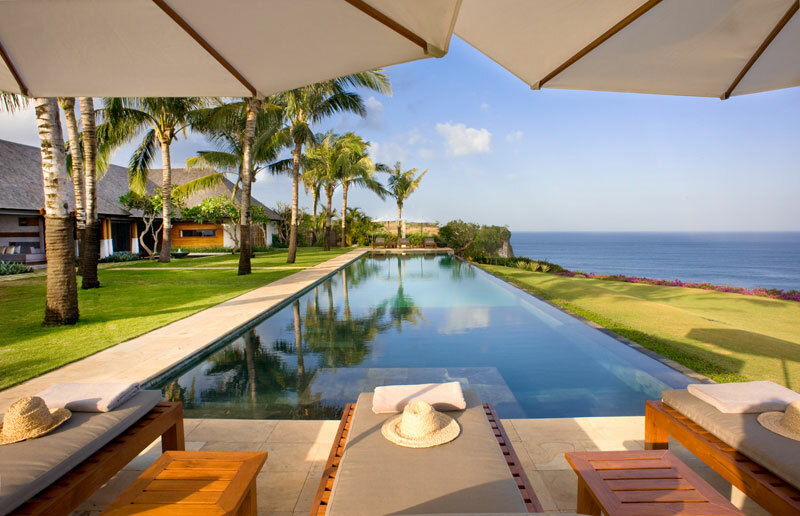 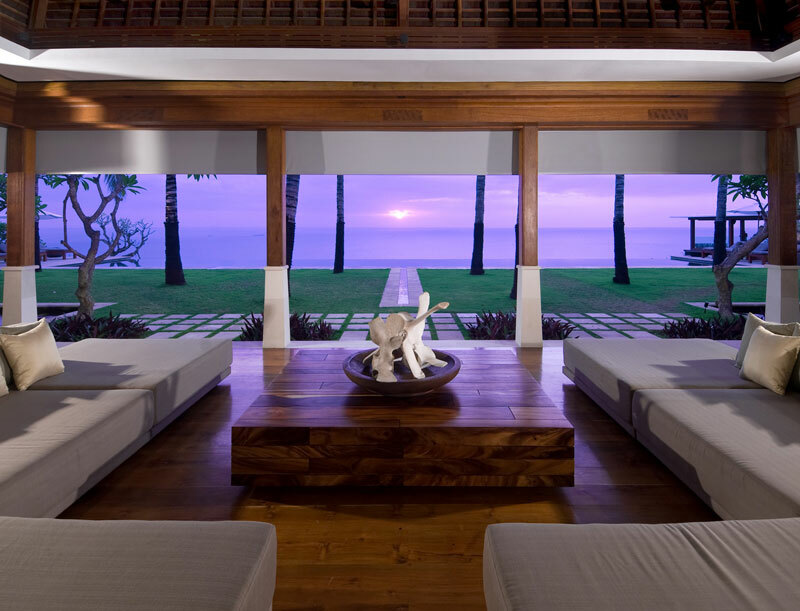 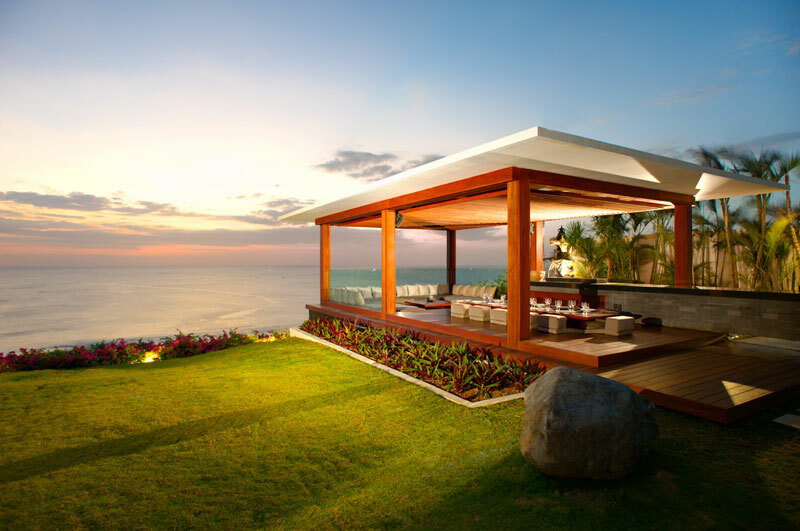 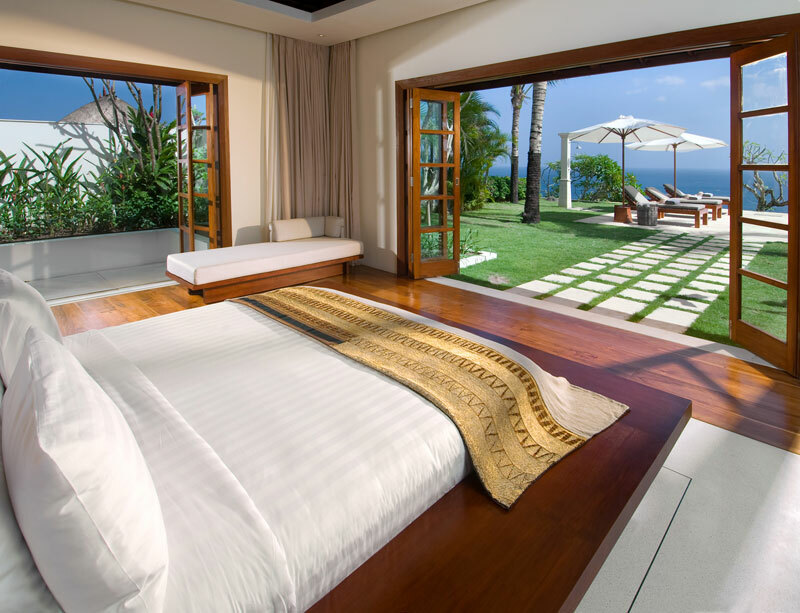 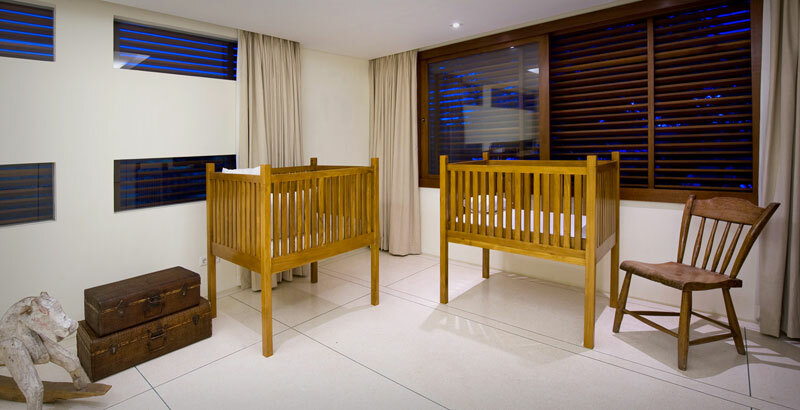 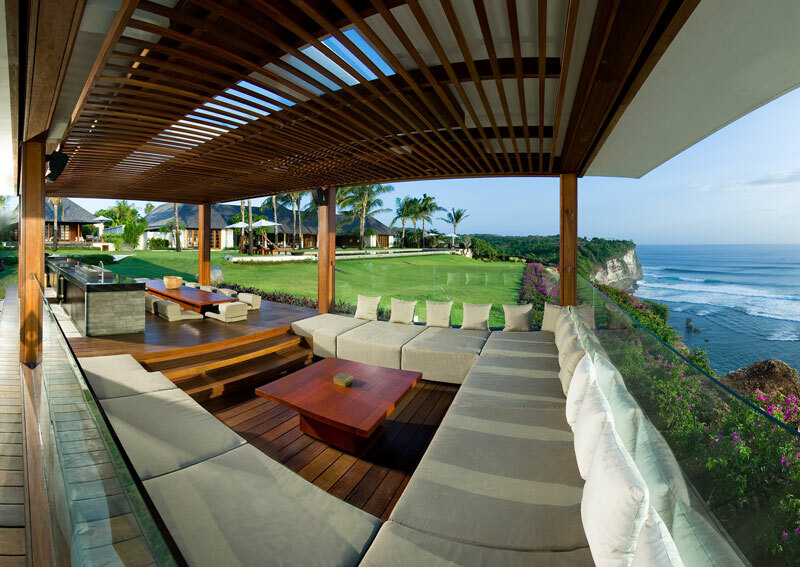 Villa Istana is located on the southwestern coast of Bali in the Bukit area, just next to the famous Uluwatu beach. 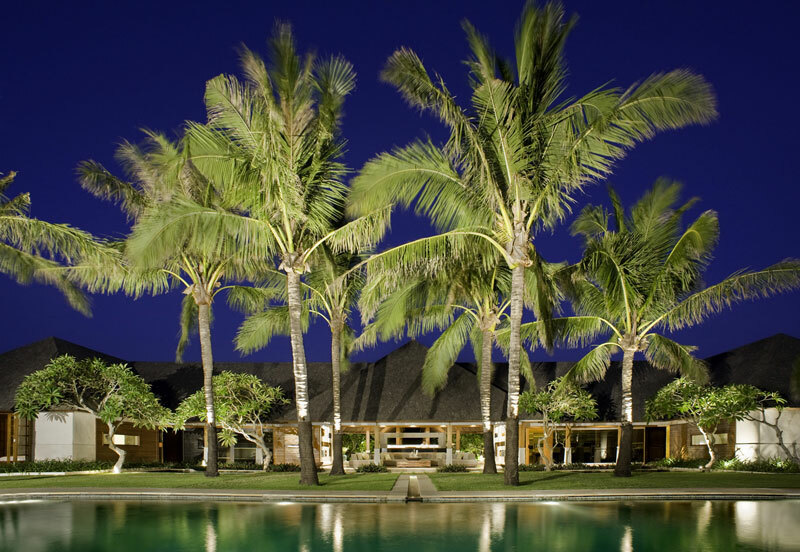 Thanks to its famous waves, it’s the place to be for surfers from all over the world. 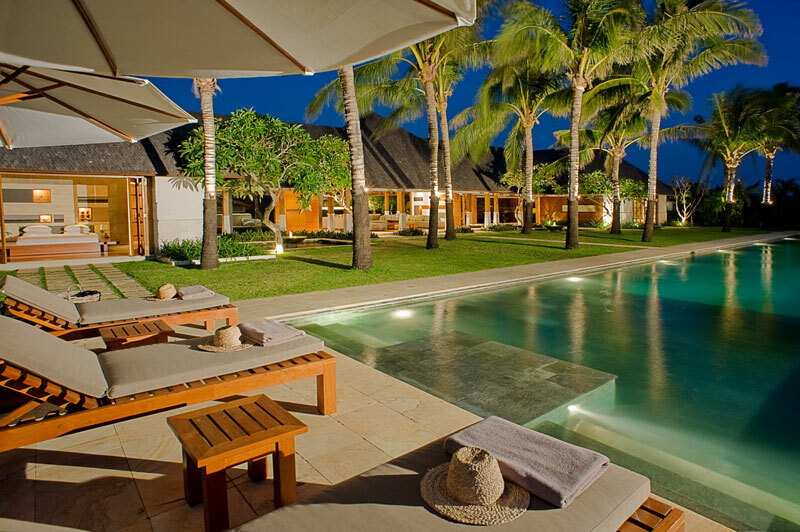 This property provides an excellent location to admire the natural beauty of the island. 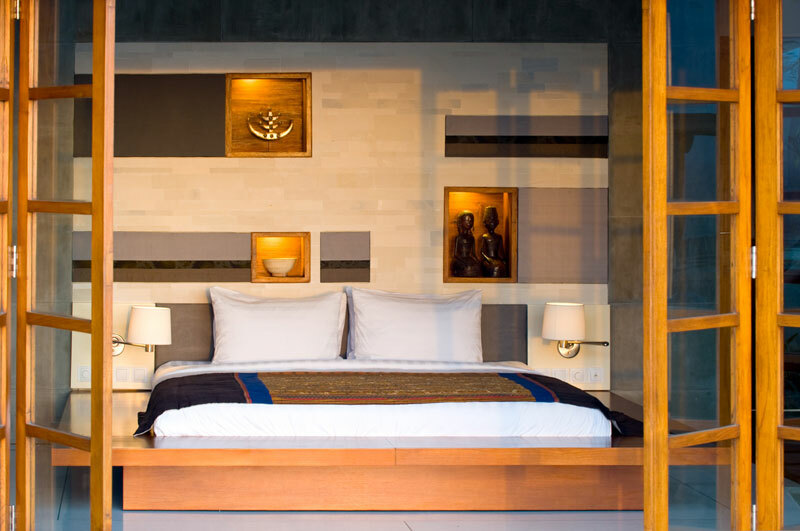 In addition, close to the villa you will find the holy temple of Pura Uluwatu, one of the nine Mother temples of the island. 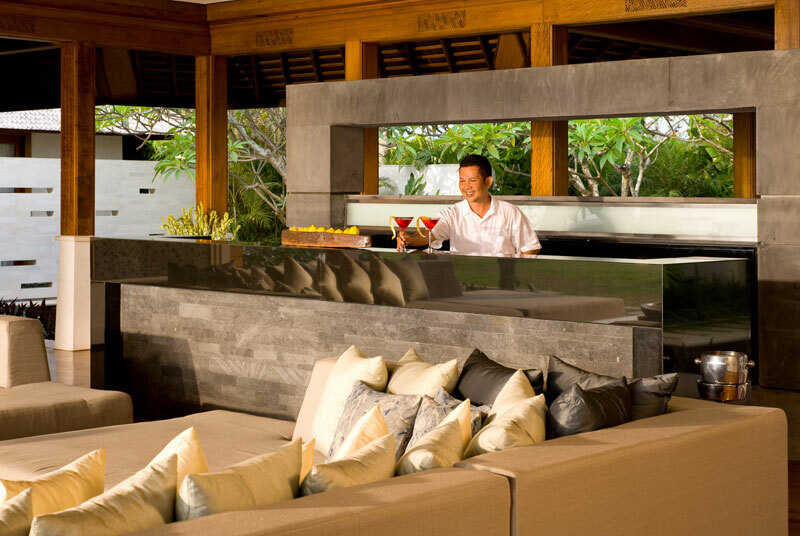 This location offers an atmosphere spiritually inspiring and undeniably unique in order to make your holiday magic. 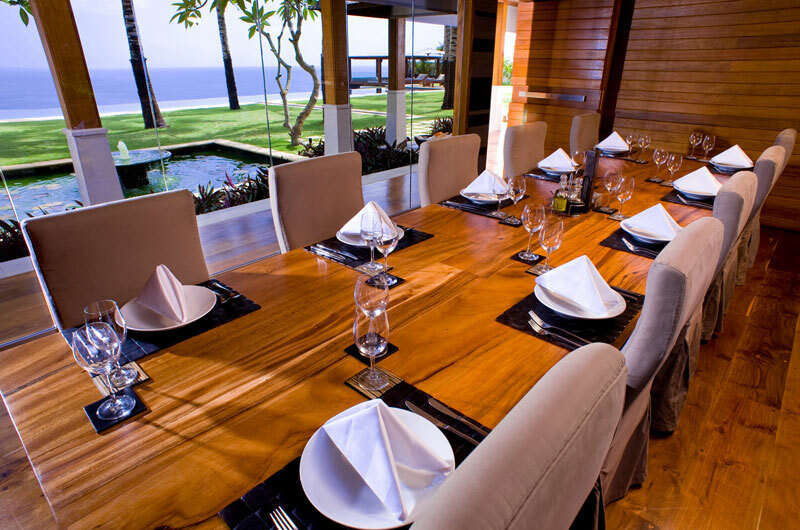 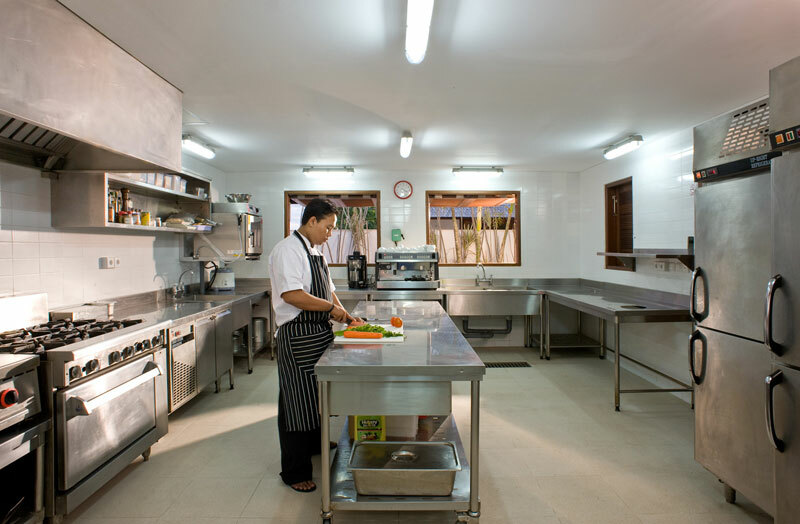 Only 40 meters from the cliff, Istana villa is a very spacious property. 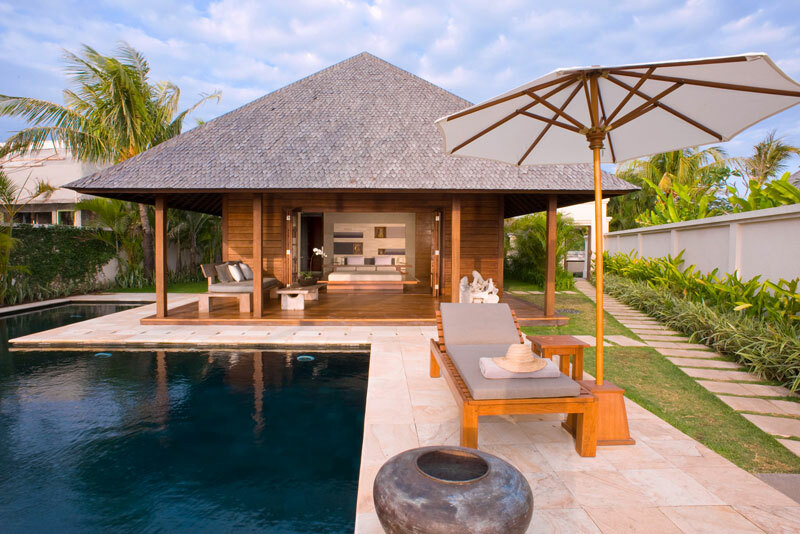 With two swimming pools, a relaxing area, a small detached house and an entire wing for children only, this property will satisfy all your desires. 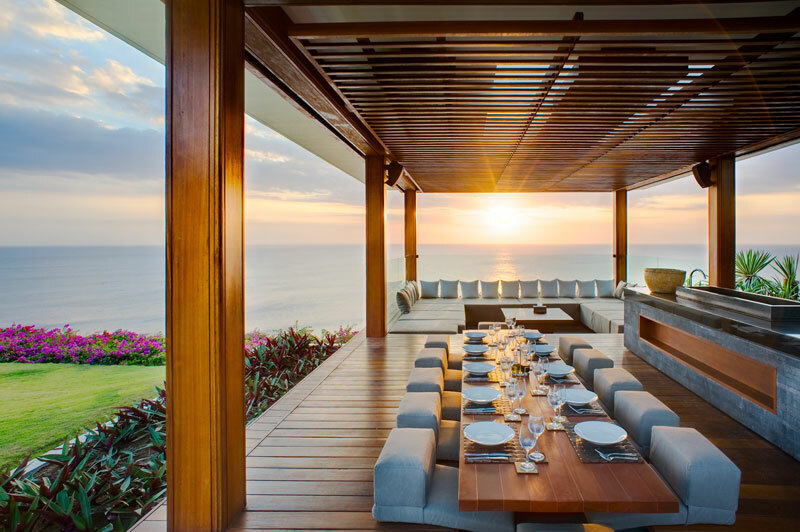 Looking at the ocean from the living room, this house was designed with a perfect symmetry between the dining room, the video room and four identical suites. 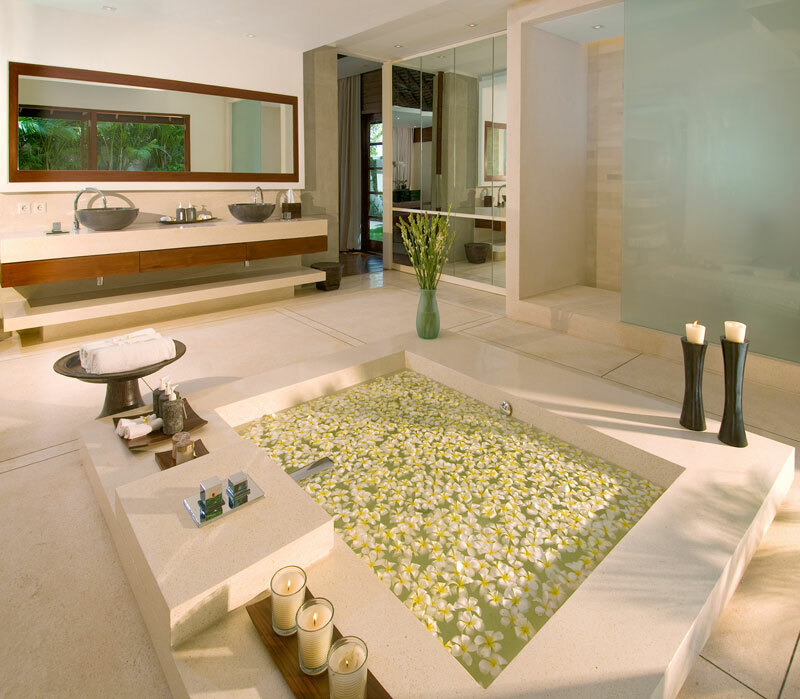 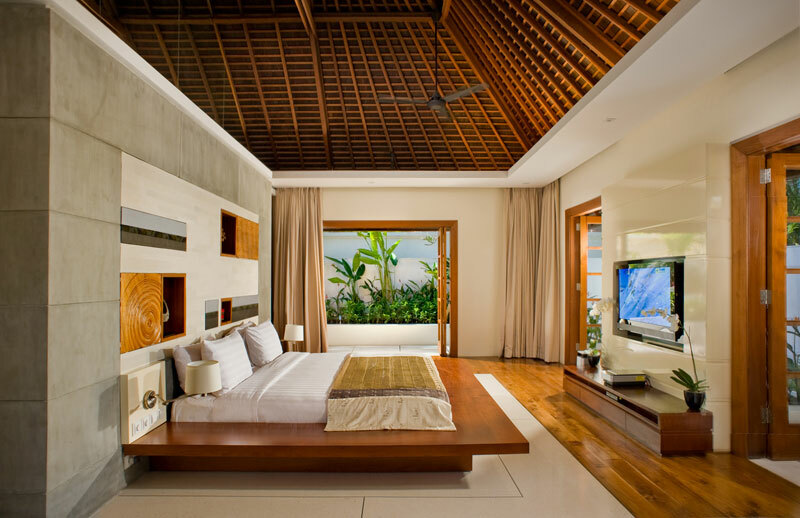 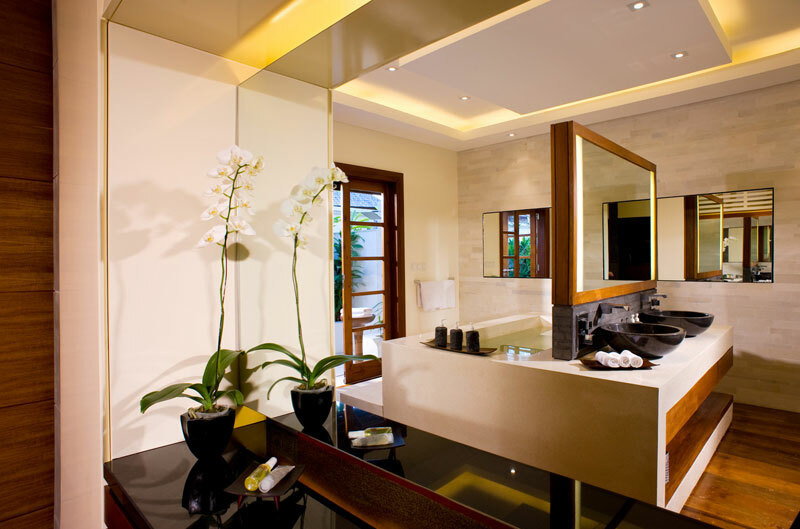 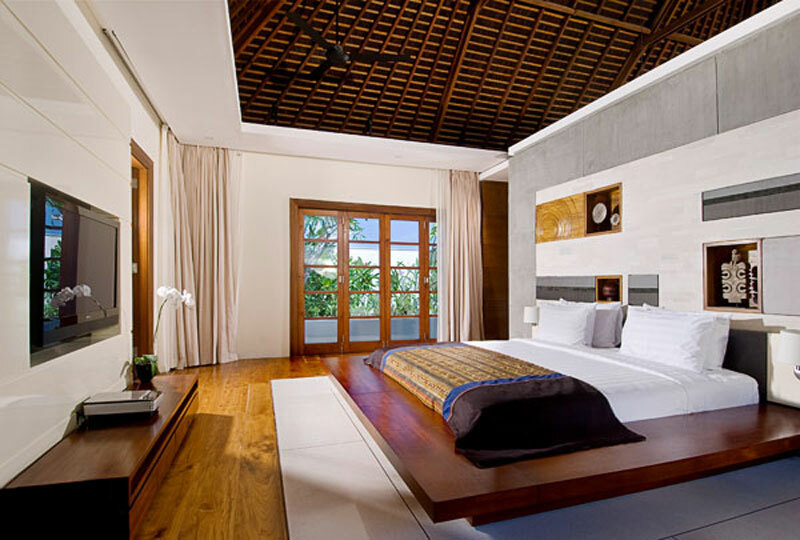 The sober and modern style of the villa still reveals very high-end traditional Indonesian architectural details. 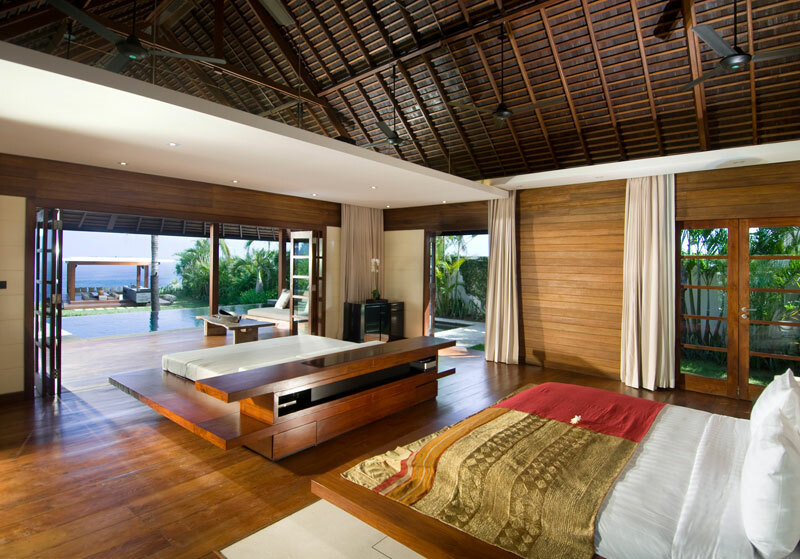 swimming pool, ensuite bathroom, wardrobes.